ROGERS MANDU | It is the joy of every mother to walk home with a live baby having carried a pregnancy, regardless of the gestational age. Several stories are documented of women that give birth to preterm babies before 37 completed weeks of gestation. In the six hospitals of Jinja Regional Referral, Iganga General, Kamuli General, Bugiri, Kamuli General, Kamuli Mission and St. Francis Buluba, preterm births are estimated at 8.5%, lower than the national which is 14% as of 2018. Although preterm mortality in this region is still high at about 9.5%, we have seen several positive outcomes from seemingly grim situations. Globally, prematurity and its associated complications are the leading contributor to neonatal deaths. Low-cost, effective interventions to increase survival are known, but not widely adopted in low-resource settings. 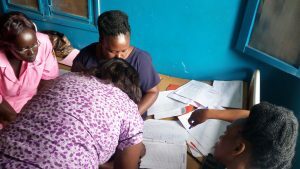 As part of the East Africa Preterm Birth Initiative (PTBi-EA) study, we test the role of continuous quality improvement (CQI) cycles in improving adherence to best practices. Our experiences, challenges, and opportunities of using an Improvement model are evident in reducing morbidity and mortality due to prematurity in South Eastern Uganda, also known as the Busoga sub region. The creation and activation of special care units in six hospitals which are part of a pair-matched cluster randomized control trial testing an intrapartum package of interventions which includes data strengthening, use of a modified version of the WHO Safe Childbirth Checklist, PRONTO simulation based and team training, and a Quality Improvement (QI) collaborative learning. 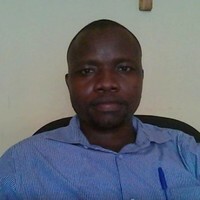 QI is a technique used to engage health care providers to identify, analyze and solve problems they see in their health facilities and therefore help them achieve improved quality of care services provided. According to the 2016 Uganda Demographic and Health Survey Key Indicators Report, there have been improvements in maternal and child health, but newborn mortality has stagnated for over a decade and in Busoga, which is the third poorest sub-region in Uganda (UBOS 2017). 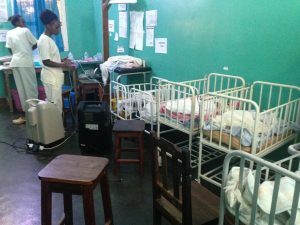 A study by the Makerere University School of Public Health indicated that between 2013 and 2014, there were 2,600 stillbirths, 723 neonatal deaths and 145 maternal deaths registered in the six hospitals we are working with. Over a 17 months intervention period, Continuous Quality Improvement was done at the six hospitals with support from PTBi-EA. During Phase 1, QI mentors were trained, stakeholders were engaged, facility-based QI teams (QITs) formed and introduced to key QI indicators such as gestational age estimation, partograph monitoring during labour, antenatal corticosteroids and Kangaroo care for stable preterm babies. In Phase 2, the QITs came to a 2-day workshop where successful change ideas tested were celebrated, challenges shared, indicators aggregated and displayed, and QI learning continued as a regional group. In Phase 3, indicator definitions were revisited, new change ideas introduced, and more focus was put on areas that needed improvement until the next learning session. Creation of additional space to cater for more babies that need specialized care. Shifting the special care units to near the duty working stations for easy monitoring of babies. Allocation of special midwives and nurses to special care units. Infection prevention in the special care units by separation of born before arrival babies from those born in the hospital. Improved monitoring of babies using a monitoring tool in the special care unit at least 3 times in 24 hours. Mentorship and coaching at facilities. There is still need for additional space for practice of Kangaroo care to meet the growing numbers of preterm births in the region. More human resources for health in hospitals where specialized care is provided for preterm babies is critical. Adequate stock of critical essential supplies and drugs for the management of preterm labour and babies needs to be thought through to cater for the need. Partnerships and collaborations among hospitals with other implementing partners is crucial in saving small babies. Onsite mentorship as opposed to workshop trainings creates impact as care givers learn hands on. Integrating QI with other packages of care identifies critical system gaps and proactively comes up with working solutions to the challenges like the provision of additional space and attitude among a work group. Facility based routine data that is periodically and continuously reviewed creates a difference in ensuring that team members own problems are find solutions to the problems. Top management leadership for change is critical for improvement. “What is priority to the leadership becomes priority for the group”. For instance, reporting data on preterm deliveries and deaths in every morning meeting attended by leaders creates a sense of responsibility and hence a burning platform for change and improvement. To this, Quality Improvement has demonstrated impact on improving indicator performance in the six hospitals.